The brand-new 1,814-meter-long Sanki Sliding Center, the first of its kind in Russia, was designed specifically to host international tournaments and built in just two years. According to quite impressive statistics, it's been designed with 17 turns for men and 16 for women and pairs. The bobs will be flashing past with a maximum speed of around 135 kilometers per hour. The highest point is located at 836 meters above sea level and its lowest point at 704 meters. After the Games the complex may be opened for tourists. 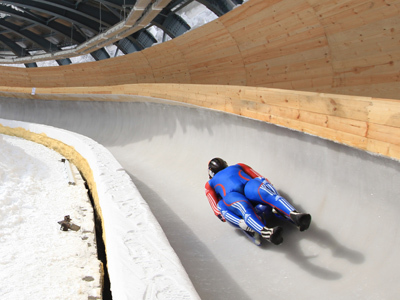 In winter amateurs may use the “supertrack” for bobsleigh, luge and skeleton, while in summer it can be used for cycling and roller-skating. 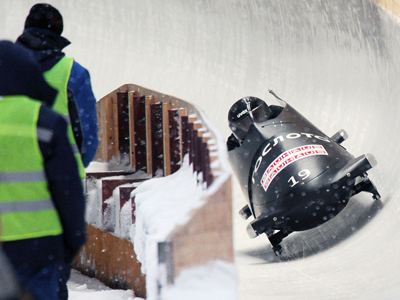 Called after the famous Russian hobby – sledging (Russian: sanki), the track is as smooth as glass. RT correspondent Thabang Motsei tried to find out how the carvers “get the shape to be the way it is” and how they get it so smooth. Strong “carving skills” are needed to make the track smooth. 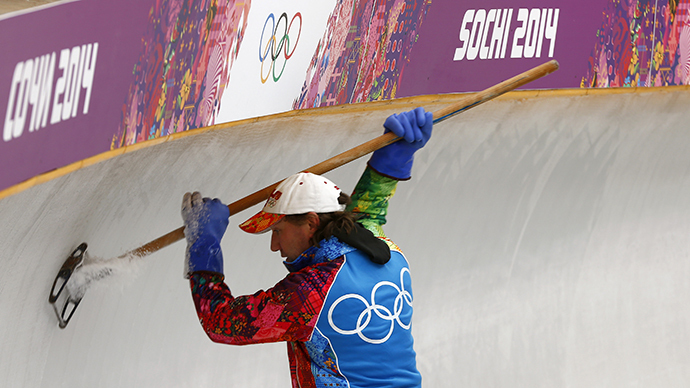 The carvers have to carve out the ice to make the track perfect for the Games. Sanki Sliding Center is among other Sochi venues that are ready for the 22nd Winter Olympics, which are scheduled to take place from Feb. 7-23. Watch more in Thabang Motsei report’s for RT.